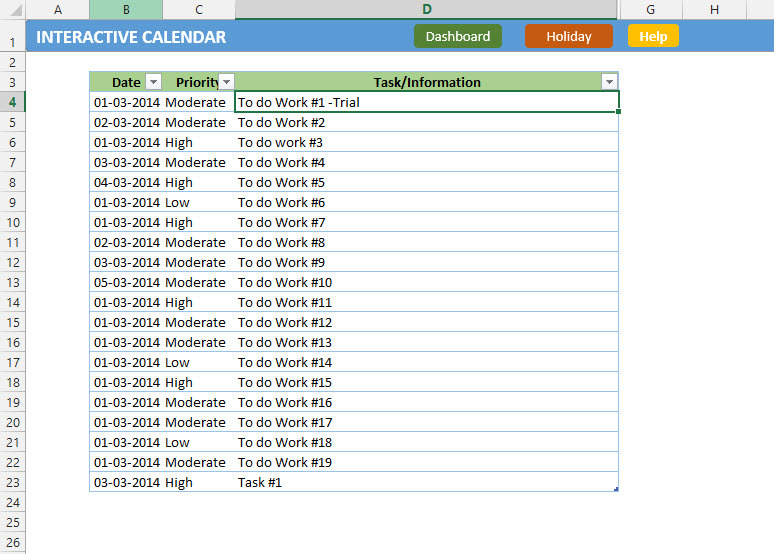 This template allows to save your daily task and display it in an interactive way. Many things to learn. This template makes it handy to display all the tasks in a form of the calendar and combined with formulas and VBA one can make it even better. How to make this type of Dashboard? For any questions just reach out through contact us page.